New York Times best-selling author Stephen Mansfield uses manly maxims, mini-biographies, and stirring illustrations to inspire men to evaluate their lives, raise their standards, and embrace their God-given masculine identity. This book is not only easy to read but incredibly inspirational. It’s not a rah-rah masculine grunt-fest, but a well thought out, well-researched, well written, discussion of what it means to be a godly man. The stories don’t merely centre around athletes and war veterans (as some men’s books do), but gives a much broader understanding of what it means to be male by including men of all stripes – intellectuals, peacemakers, politicians and biblical figures. Part 1: “The Manly Maxims”, four personal mottos that help summarize the masculine life. This is a helpful baseline for the meat of the book in part 2. Part 2: “Show Yourself A Man”, a list of attributes (ex. Honor, Blessing, Wildness, Integrity, etc.) that combine a mish-mosh of bible studies, biographies and personal stories which are not only fascinating to read but immensely instructive and inspirational. This is the best part of the book! Part 3: A resource section with quotable quotes, movie and book recommendations. Not my favourite part, but I can see how some guys would like this. I recommend this book to anyone who wants to read some great stories and be challenged and inspired (I keep using that word) to rise above the watering down of the masculine identity. I’m sure there are some people who would be upset by the fact that this book targets men, but I think it’s great that there is a book like this that I can give to my teen boys to help them set a high standard for their personal conduct and walk with God. *I received this book for free from BookLook Bloggers for review. This entry was posted in Book Review and tagged Book review, Books, Manhood, Manly Men, Masculine, Men, Review, Stephen Mansfield. Mark Driscoll writes as a contemporary prophet who feels the pressing need to address a huge amount of issues that the North American Evangelical Church is facing (or choosing not to face) today. He’s also a loving pastor, clever writer, and passionate promoter of the gospel who loves Jesus and His People and wants the best for His Church. He pulls no punches as he unapologetically pulls the skeletons out of our evangelical closets for all to see and explains why we are in such a steep decline. If you’re not alarmed, enlightened, angry, weeping, or offended by this book, then you probably aren’t reading it right. Let me admit my bias. Mark Driscoll is a very intelligent, courageous, biblical, Christian leader who is sold out to Jesus Christ and who loves his church. I read everything Mark Driscoll writes, listen to his sermons regularly, and am a big fan of what the Resurgence and Acts 29 is doing. I looked forward to reviewing this book as soon as it was available from Tyndale, and as I read it, I knew what to expect and heard exactly what I expected to hear – which was a good thing. Driscoll has always seen himself as a button-pushing, prophet and in this book he pushes as many buttons as he can. He chooses headline garnishing illustrations which shock the average person into listening to whatever he’s about to say. He is brilliant, clever, and purposefully abrasive – which is part of his charm and what drives people crazy. Regardless of what you think of his style, you should listen to him, because he’s probably right. Driscoll is a skilled teacher who helps his readers understand the key issues, what got us to this point, and then asks us to step out of our comfort zone and make the necessary changes to our thinking and practices. He raises criticisms of every kind against the Christian church and follows them with questions that every believer (and every church) needs to answer. 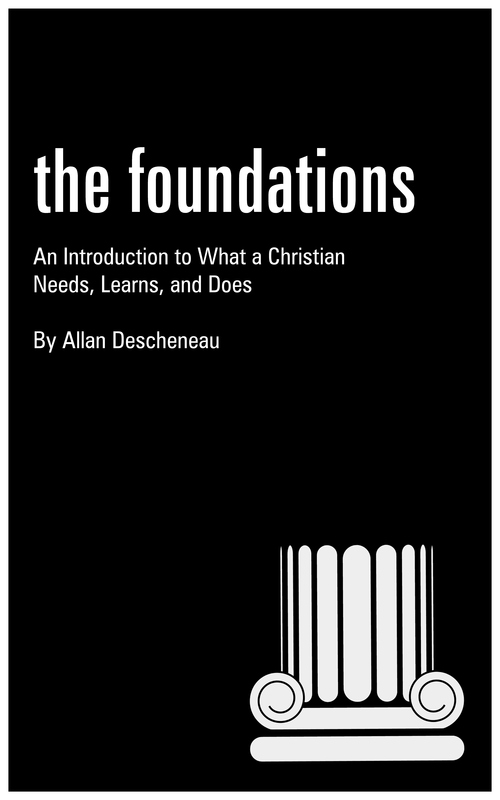 Click here for Tim Challies’ great overview of the individual chapters. This book is not only worth buying for the great content of the chapters, but for the pitch-perfect appendices. His section on the history of the various Christian/Religious “tribes” in our culture and recommended reading list are worth the price of the book. First, I couldn’t figure out who the target audience was. It’s not for non/new Christians because there is so much in-house discussion that is only understood by people who have been part of the church for a while. Older generations might not appreciate the aggressive language and humour. Comfortable believers won’t pick it up in the first place. I’m a pastor who appreciated the whole of it, but I wonder if much of the systematic theology and historical content might confuse or overwhelm the average attendee (or bore them). If this is a call to action for all believers, I’m not sure everyone will be able to get all the way to the end of it. Third, though his section on tribes is excellently written and extremely helpful, at times it came across as partial, biased and stereotypical. Still, if the point was show us what tribe we are in so we can evaluate its strengths and weaknesses, he did that very well. I highly recommend this book. It’s not going to be an easy read for anyone, but I believe it’s important for everyone. Remember when your mother told you to eat your vegetables because they were good for you? That’s this book. If you read it, and get a taste for it, it will change you for the better. This entry was posted in Book Review and tagged A Call to Resurgence, Book review, Jesus, Mark Driscoll, North American Evangelical Church, Resurgence. “Messiah: Origin” is the first “Graphic Novel” (not “Comic Book”) series that uses visuals and biblical language to tell the story of the life of Jesus Christ from John 1 (“In the beginning was the Word…”) and His birth to the inauguration of his ministry at his baptism by John the Baptist. This entry was posted in Book Review and tagged Book review, Graphic Novel, Messiah, New Testament. Eric Metaxas brings his skill as a writer and researcher to this excellent series of biographies. Each man’s story is told with care, accuracy and depth, giving us important insights and reflections on their life and spiritual journeys. Each chapter stands on its own as a great piece of writing and together they make a life-changing book. I haven’t read a lot of biographies. I prefer theological and practical discipleship books. That being said, one of the greatest gifts that came from receiving “7 Men” to review was the inspiration to read more biographies — because I loved it! What an inspiring book. I’ve really been missing out and Metaxas’ introduction gives some great reasons why it is important to put aside other things to read biographies of great men (and women): We need heroes! Certainly Jesus is the hero for all generations, but God seems to have designed humanity with the need to follow in the footsteps of less-divine men as well. All of us need to find people we can look up to and emulate (and learn from when they catastrophically blow it). We need mentors who are right in front of us, in our homes, churches and neighbourhoods, and those who have passed from this life. Without giving these people influence over our lives we live life myopic at best, or blind at worst. “7 Men” gives us a great sampling of heroes to help open our eyes. Metaxas is an incredible writer and intelligent scholar, but what surprised me about this book was that he wrote more as a fan than a researcher. His accurate language and love for details were all there, and the writing was impeccable, but the heart behind the words was what really came to the forefront. He wants every reader — particularly the men — to be as inspired, excited and amazed by these men as he is. And not just the men, but by the God who created these men, the Christ who saved them, and the Holy Spirit who lived in their hearts and motivated their lives. This is no dry series of biographies full of events and dates. This book is meant to challenge and motivate us to a greater awareness of life. Each biography gives us lessons to learn, habits to adopt, mistakes to avoid and points us to God as our ultimate source of wisdom and strength. This entry was posted in Book Review and tagged 7 Men and the Secret of their Greatness, Biographies, Book review, Eric Metaxas. This is the first book I’ve reviewed that I had no prior knowledge of before it was sent to me. I’ll be honest, I chose it because it had a cool cover, and an interesting subtitle (“Becoming brutally honest with a gracious God”). It took me a while to get around to it, but I’m glad I did because there are a lot of good things in this book. Weidmann’s pastoral concern and desire to help us be free from the things that are standing between us and Jesus (fear, shame, deception, pride, etc.) comes through on every page. He is honest and transparent, to the point of being emotionally raw, as he invites us to join him in asking some pretty tough questions and then searching scripture for answers. I was touched by many chapters in this book. If you look at my notes you will see “this is my favourite chapter” at least four times! His chapter on anger was wonderfully insightful. The chapter on shame was moving. “The Scandal of Grace” will be with me for a long time. “Radical Integrity” is a phrase I will certainly add to my lexicon. 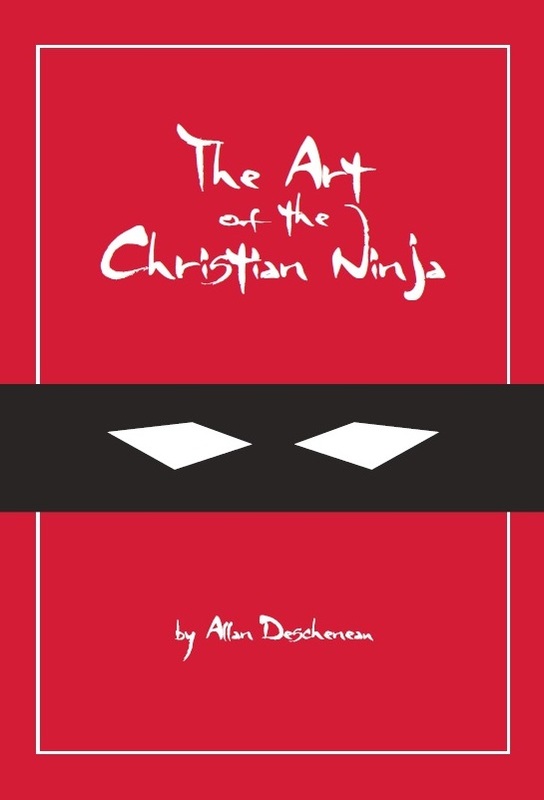 Weidmann’s greatest strength is his ability to use illustrative stories and powerful metaphors to convey biblically sound and theologically helpful concepts in a meaningful, readily applicable way. And he does it in every chapter! The last part of the book, “Baring Your Soul for the Sake of Change”, is a very practical section which will help anyone who is struggling with doubt, secret sins, fear, or intimacy issues. Don’t skip straight to this section because the whole book leads up to it, but don’t miss it either because it’s extremely helpful. This book is a perfect introduction for every new believer who wants to know how get honest with God and relate to Him in a deep, personal way — and for any mature believers who have forgotten how. This entry was posted in Book Review and tagged Book review, Christianity, Honest to God, Josh Weidmann. This is my first official book review, so I would love some feedback. I have to admit that I was very much anticipating Booksneeze.com sending me this book (I’m a blogger and I get them for free). I appreciate John MacArthur’s ministry, love to read biographies of scriptural characters and recently preached a series on “The Hall of Faith” in Hebrews 11, so I was primed and ready to learn more. I was not disappointed. The are so many things to learn when we mine out the details of scripture, and I’ve been mightily blessed by authors who are able to go beyond the surface lessons and obvious conclusions to show us a God who works in the smallest details, through every part of the story, and with characters who don’t immediately jump off the page. John MacArthur is one of those authors. MacArthur is a pastor-teacher and a great storyteller who has a gift for relating complicated information in an interesting, accurate and practical way that hits me right where I live. This book is ripe with deep theology, biblical exposition, historical context and big ideas, but not cumbersome to read. He tells these familiar stories in a captivating way that touches my heart, stirs my spirit, and makes me want to keep reading. A book like this can help us forgive others and trust God more because it helps us appreciate differences, embrace the belief that God has a bigger plan, and can do good things with tough situations. It reminds us that the only perfect person in the bible was Jesus, and everyone else made some big mistakes — yet God still chose to work through them — and can also work through us. It tells that God is unexpected, unpredictable and unprecedented in how He operates. His ways are not our ways, but His track record is astonishing! Though I enjoyed this book immensely, found it helpful, and recommend it highly, there was something that bothered me. Certainly, God is the motivating force of each person in this book, but MacArthur isn’t explicit enough about pointing to Jesus as the perfect example of what these folks are meant to embody. In fact, Jesus is presented more as an under-currant rather than wind that could have driven the sails of this book. MacArthur makes some wonderful points, and directs us straight to God, but I believe he stops one base short of a home run. Instead of making his main point “How can we imitate the faith of Enoch (or Miriam or James)?” I believe he should have closed each chapter by asking “How can we be like this person as they are like Jesus?” Even during the stories of John the Baptist and James, Jesus is presented as a figure in the story rather than the central figure of the story. Again, even though this is a good and helpful book, emphasizing that would have turned a triple into a home-run. 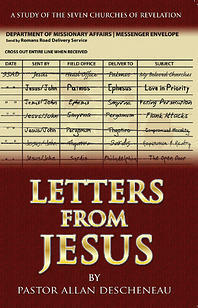 This entry was posted in Book Review and tagged Bible, Book review, Christian, John MacArthur.